What do you think of when you hear the word “slum”? For many, the word brings to mind poverty, violence and squalor; slums, or informal settlements, are overwhelmingly associated with the negative. This is particularly true in Rio de Janeiro, Brazil, where favelas, often known as low-income communities or informal settlements, have long been linked to danger, violence and crime. Due to the negative connotations that populate the urban conscience, not many realize that one of every five Rio residents, a total of 1.5 million inhabitants, lives in a favela. To counter these negative associations, Google’s Beyond the Map project presents alternate images of life in Rio favelas through an innovative, interactive website. The platform states that “the favelas are not simply a place. 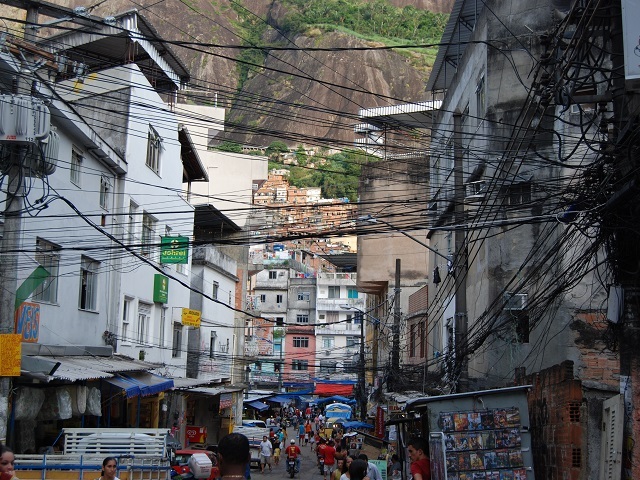 They are a people, and, to understand them, you must go inside and see for yourself.” With the help of Google Street View technology, Beyond the Map offers users a guided tour through several Rio favelas, including Vidigal and São Carlos. The tour begins with a motorcycle ride through the narrow streets of a favela community. Throughout the tour, 360-degree video and photospheres fully immerse viewers into favela life. Paloma is a favela residents featured in Google’s Beyond the Map videos. At different stops along the journey, videos and pictures portray aspects of favela culture, community and history. 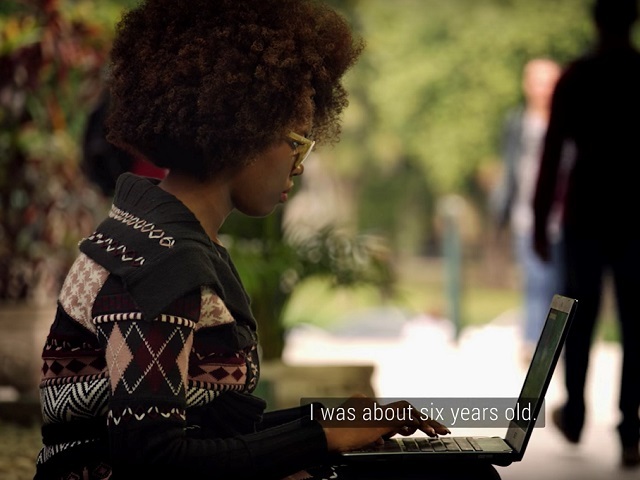 Documentary vignets tell inspirational stories of favela residents, including the story of Paloma, a woman from the Maré favela, who overcame great odds to study computer science at a local university. Videos also highlight favela culture and local business, featuring performances from local drumming and hip-hop groups, as well as interviews with a local barber and shopkeeper. 360-degree videos are used throughout the Beyond the Map website. As explained on the tour, the Beyond the Map project is one facet of a larger initiative undertaken by Google to map Rio de Janeiro’s favelas. The ongoing Tá No Mapa project, which began two years ago as a collaboration between Google and the NGO Grupo Cultural AfroReggae, has mapped 26 of Rio’s favelas. Replacing what once had been blank, unmapped space, detailed records of favelas streets, buildings and businesses are now available on Google Maps. The Rocinha Favela, as seen on Google Maps, before and after the Tá no Mapa project. The Tá no Mapa project reflects a growing trend in approaches to address the issue of informal settlements. With the recent proliferation of new technologies, some NGOs have begun to create detailed maps of informal settlements. NGOs, like Slum Dwellers International, the Orangi Pilot Project and Shelter Associates, have led informal settlement mapping initiatives in Kenya, Pakistan and India. The mapping process is often participatory, as is the case with the Tá no Mapa project, which employs local favela residents to collect the spatial data. Data collected through the mapping process can also be employed for infrastructure provision, economic development, disaster preparedness and other upgrading services. Through Beyond the Map, Google presents inspirational, humanistic stories from Rio’s favelas. With these videos, Google attempts to build a narrative of hope, countering prevailing notions of the favela as a place of poverty and violence.